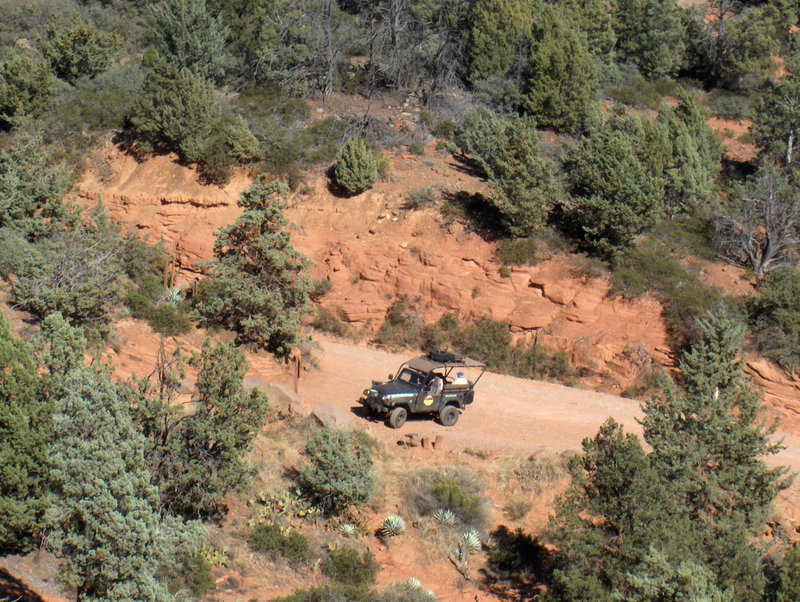 Rose and I (and four other folks) took a very bumpy Jeep ride (hang on to your saddlehorn folks) up Schnebly Hill Road. 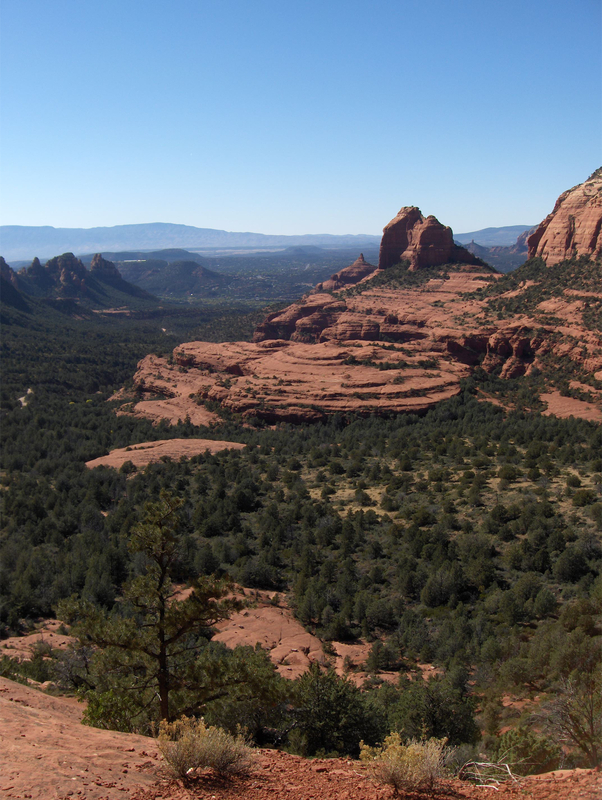 (Theodore Carleton (T C) Schnebly and his wife SEDONA Arabella Miller Schnebly moved to the area in 1901 – guess how Sedona got it’s name? 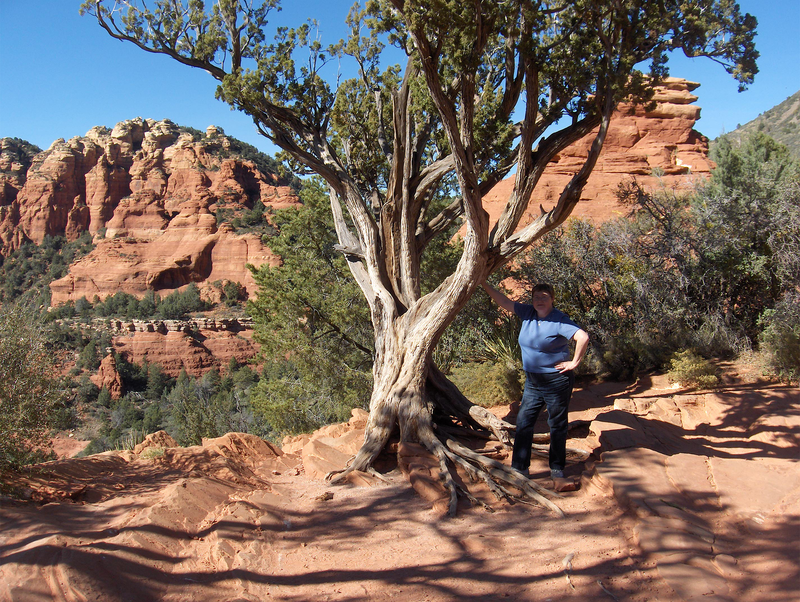 Eventually we jostled and jerked our way up to a viewpoint near Schnebly Hill Vista … then jumped out for a jaunt. Climbing a short – but steep – little path we arrived at a location overlooking the whole valley. Beautiful! 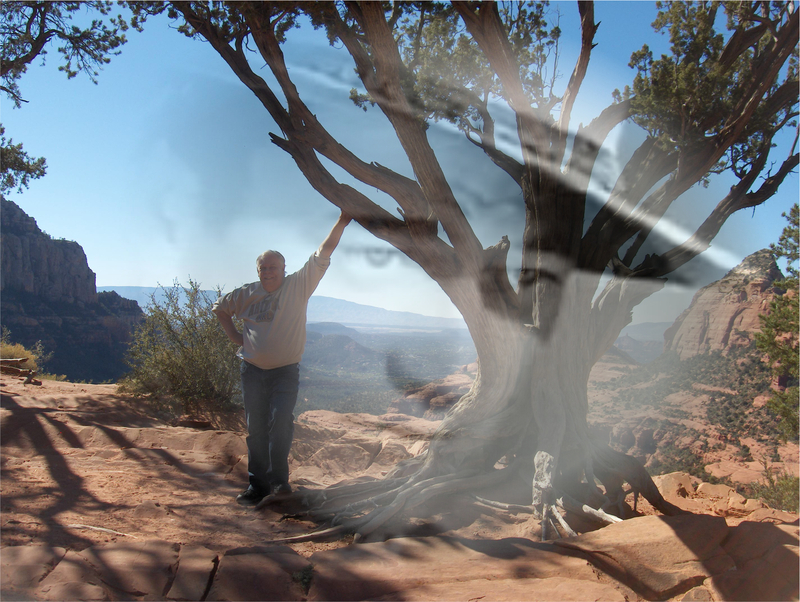 Here’s where Nick – our Jeep driver – points to a certain tree and tells us “This is John Wayne Tree”. Really!! (He had no knowledge that I had a blog called My Favorite Westerns). There’s a photo (somewhere) of John Wayne posing by this tree when he was filming Angel and the Badman in 1947. I believe I saw that photo once, but after hours of searching the net was unable to locate it. Nick claims that Wayne posed somewhat like this (above) in the famous photo. 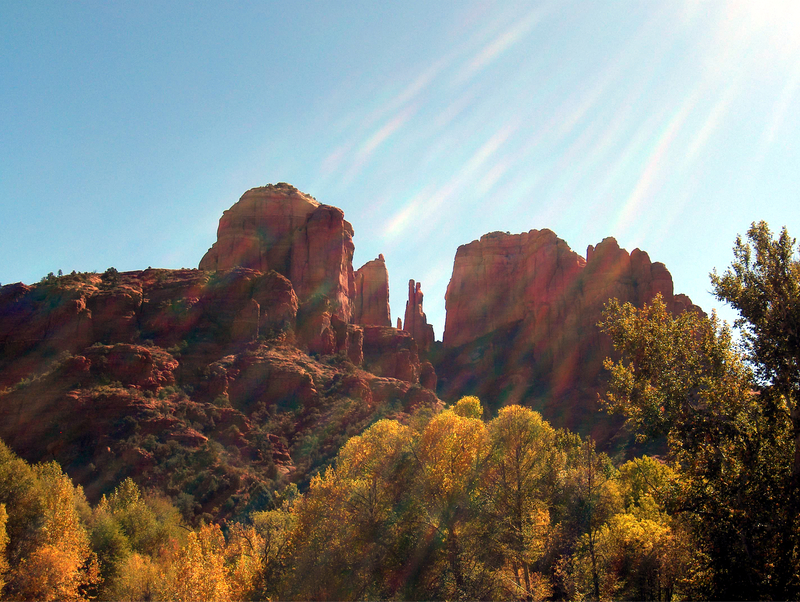 Sedona … see you again in a few months. “Rider of the Law” – 1919, black and white silent movie – Told of the adventures of the Texas Rangers. 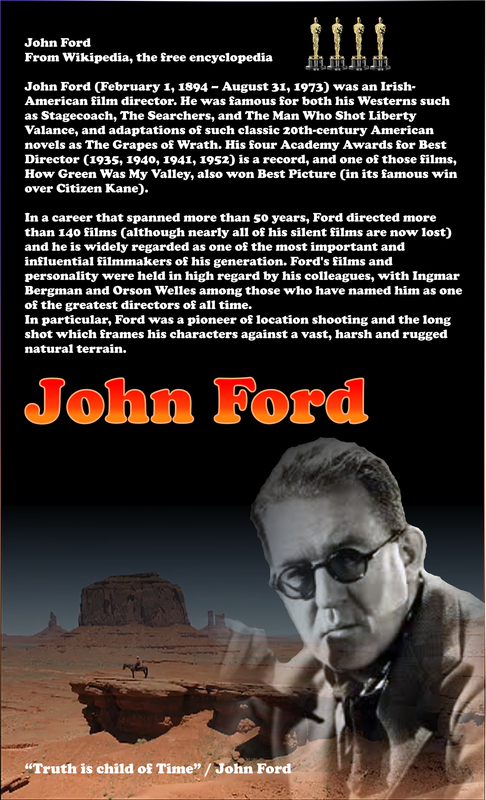 “3 Bad Men” – 1926, Ford’s last silent western. Filmed in the Mojave Desert and Jackson Hole, Wyoming. 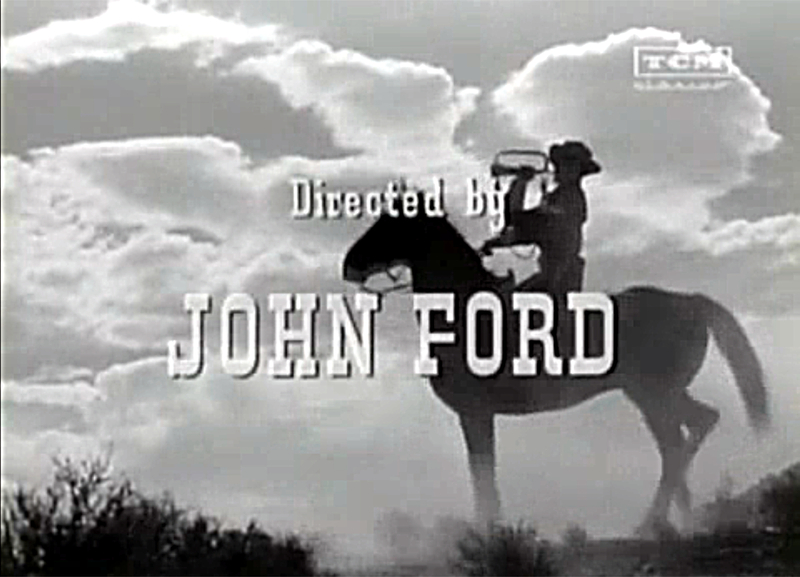 “Stagecoach“ – 1939, Ford’s first western with sound. Starring the unknown John Wayne, along with Claire Trevor, this movie is still the most admired and the most imitated of all the Hollywood movies. “MoDrums Along the hawk“ – 1939, Ford’s first Technicolor movie. It co-starred Henry Fonda and Claudette Colbert. “My Darling Clementine“ – 1946, romanticized version of the legend of Wyatt Earp and the gunfight at the O.K. Corral. Film’s starred Henry Fonda as Wyatt Earp, Victor Mature as Doc Holliday, and Linda Darnell. 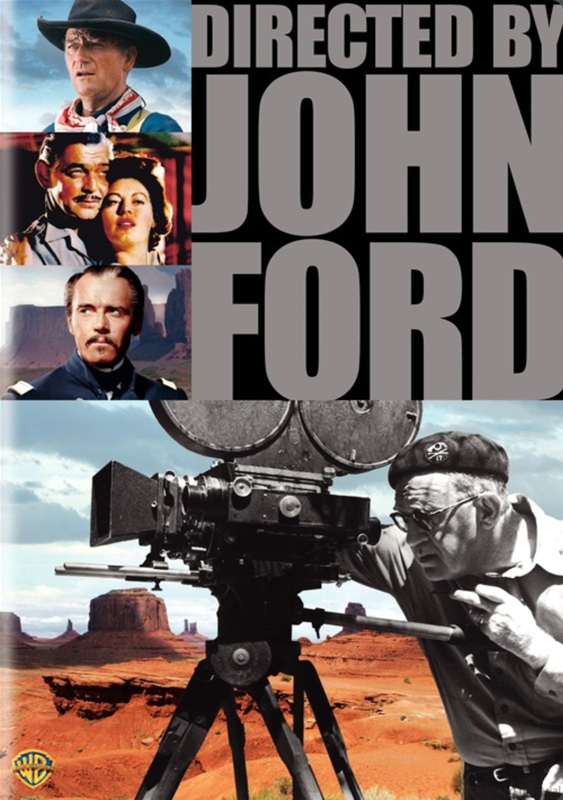 “Fort Apache” – 1948, The first of Ford’s “Cavalry Trilogy”. John Wayne, Henry Fonda, and also Shirley Temple in one of her last movie appearances. 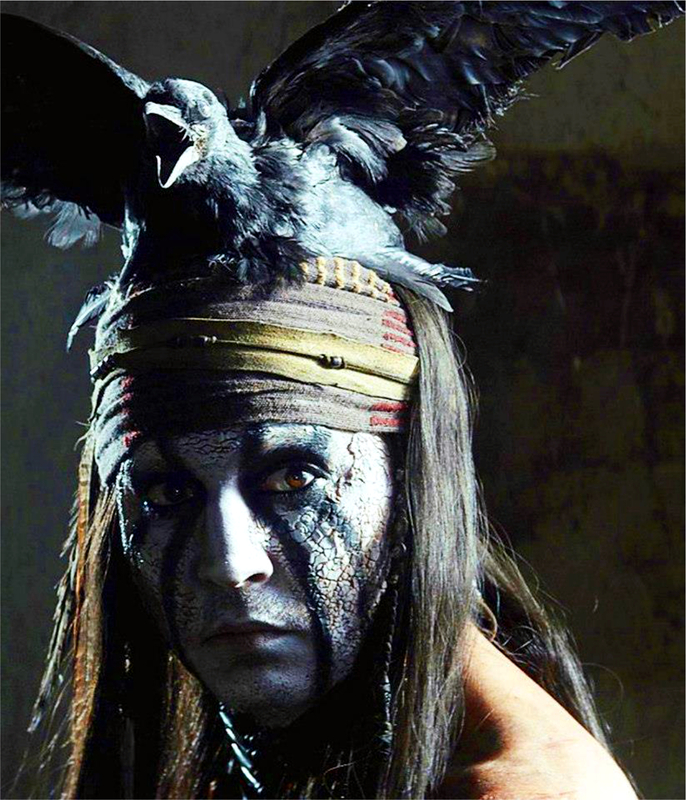 It was one of the first movies to present a sympathetic and authentic view of Native Americans. “She Wore a Yellow Ribbon” – 1949, second of the “Cavalry Trilogy”. In Technicolor. “Rio Grande“ – 1950, Third part of the “Cavalry Trilogy” starred John Wayne, Maureen O’Hara, and screen debut of Wayne’s son Patrick Wayne. “The Searchers“ – 1956, The only western Ford made in the 1950’s besides “Rio Grande”, this movie was named “the greatest western of all time” by the American Film Institute in 2008. Featured the rising star Natalie Wood as well as Jeffrey Hunter, Vera Miles, Ward Bond, and others. “The Man Who Shot Liberty Valance” – 1962, said to be Ford’s last great movie. It starred John Wayne, Vera Miles, James Stewart, Edmund O’Brien, Andy Devine, Lee Marvin, Denver Pyle, and John Carradine. 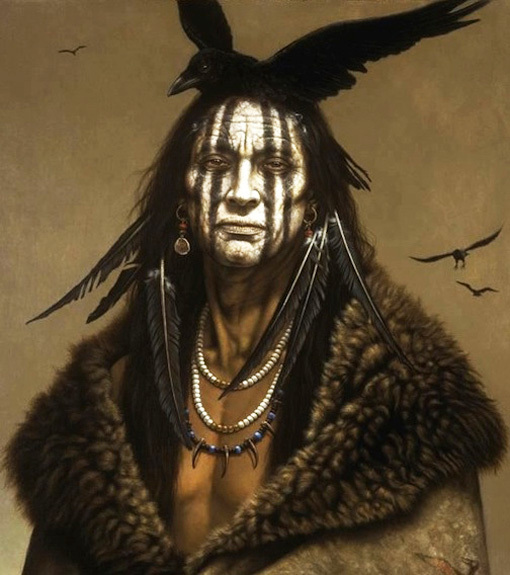 In the best interests of tabloid journalism … questions – like smoke signals – do arise. And where there’s smoke …. So far … so good. 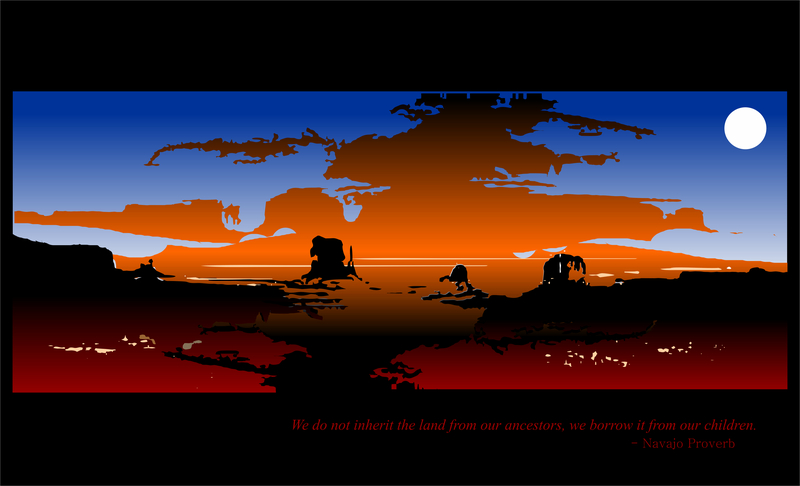 This blog is a celebration of Western Movies. It’s aim is to inspire viewers to watch these great movies – or RE-watch them with fresh eyes and appreciaton.